This set is a Toys R Us SDCC-exlusive, which I believe means that it is being released first at SDCC, but will eventually be available in stores. As I posted yesterday, it was available for order on the Toys R Us website, and by some miracle my order arrived the very next day. They sent it in a box that was much too large for it, so it did get a little beat up in shipping. The very large plastic windows on the front and top make this one item that will be hard to get in mint condition. 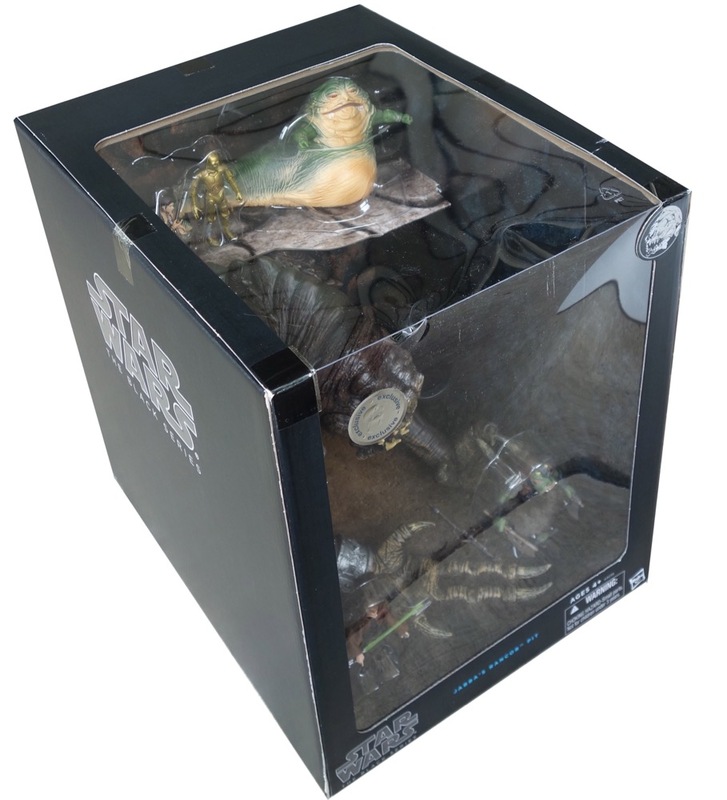 It’s somewhat attractive, but not even in the same universe as the package for last year’s SDCC-Exclusive Jabba’s Throne Room. The windows and the box’s size also make it pretty difficult to take good photos of it. There are reflections all over the place! I had to take it out into our driveway to get enough room and light to take photos (much to the amusement of my neighbors), and I’m still not very satisfied with how they turned out. Still, I think you get the idea. Most of the figures in the set are rereleases of older figures. 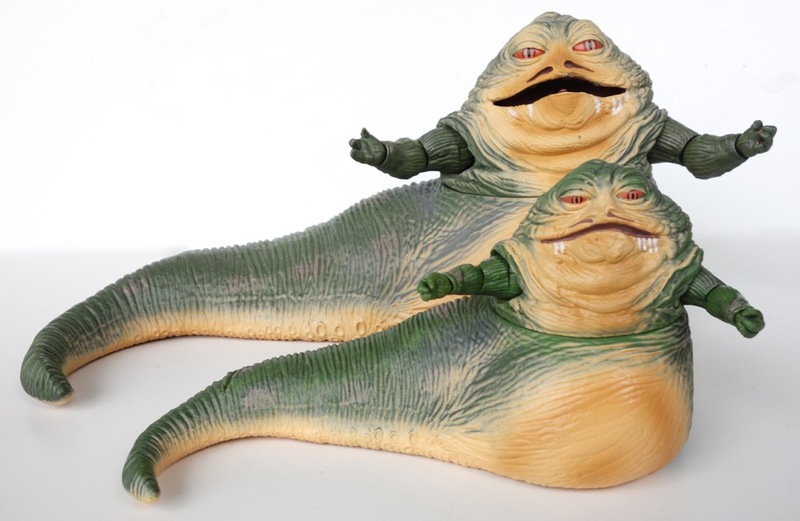 The Slave Leia figure was released in both the Legacy Collection (with an addition of a set of “sitting” legs) and the Vintage Collection, and the Gamorrean was released in the Vintage Collection. The Gamorrean in particular is a very nice figure, and still relatively sought-after on the secondary market. 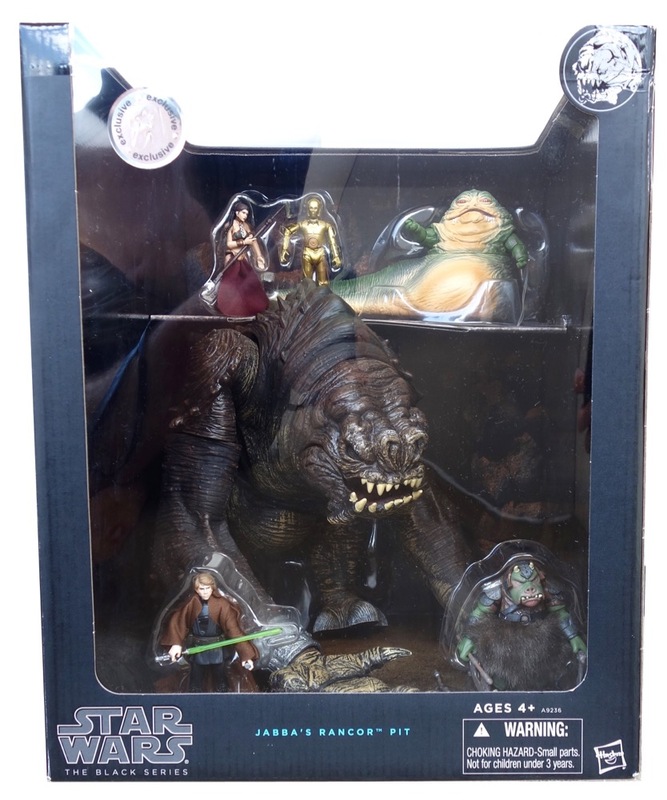 The Rancor was originally a Target exclusive, and is also still popular on the secondary market, since it’s easily the best rancor that’s been released. The C-3PO and Jedi Luke figures are also rereleases, although I’m not sure offhand which ones they are. The Jedi Luke comes with a Jedi robe, which is not actually accurate to the film — it should be a hooded cape without arms. One other thing to note — on the back of the box it says that it includes a hookah pipe, but this does not appear to be included in mine and in fact I think it is not included with any of these sets. I’m not going to be removing the other figures from the box, so there won’t be any closeup pictures of them, but they’re more or less the same as the previous versions. 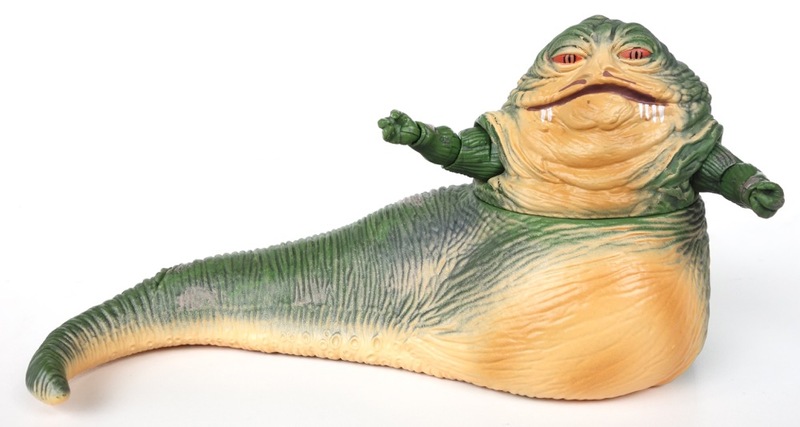 Of course, the real star of the set is the “new” Jabba figure. 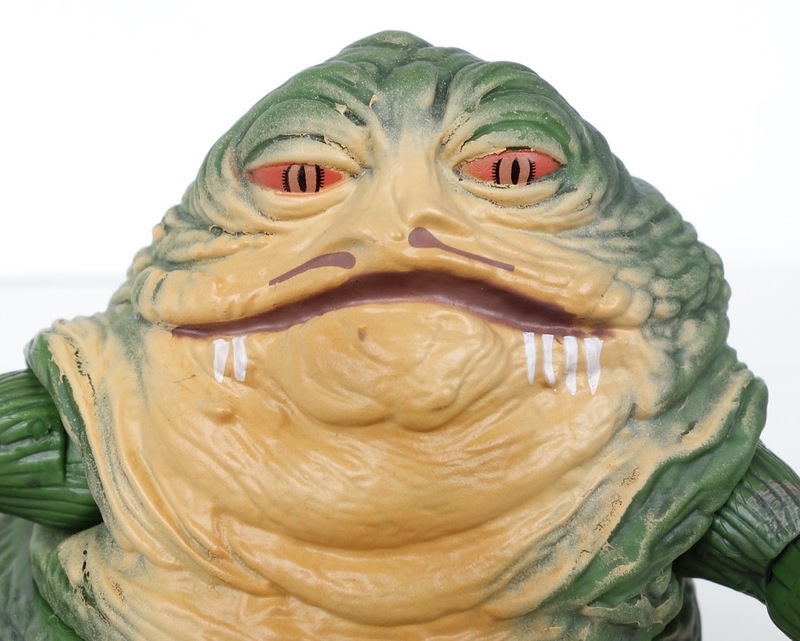 It’s the first release of a 3 3/4″ Jabba figure since the Walmart-exclusive Vintage Collection figure from 2010. I say it’s “new” since he’s actually a shrunken-down version of the 6″ Black Series Jabba the Hutt figure, with a few differences. Since the 6″ figure was sculpted completely digitally, I assume it was a lot easier to shrink it down than to sculpt an entirely new figure. And while I’m a fan of the 6″ version of the figure, it’s a little disappointing that this is essentially the same thing in a different size. At first glance, he looks pretty good. More or less the same as the 6″ version. But you’ll see that he doesn’t have the opening mouth feature of the larger figure, and in fact his head is one piece of rubber instead of the much more complex head of the 6″ version, which has a rubber skin over a moving armature of sorts. 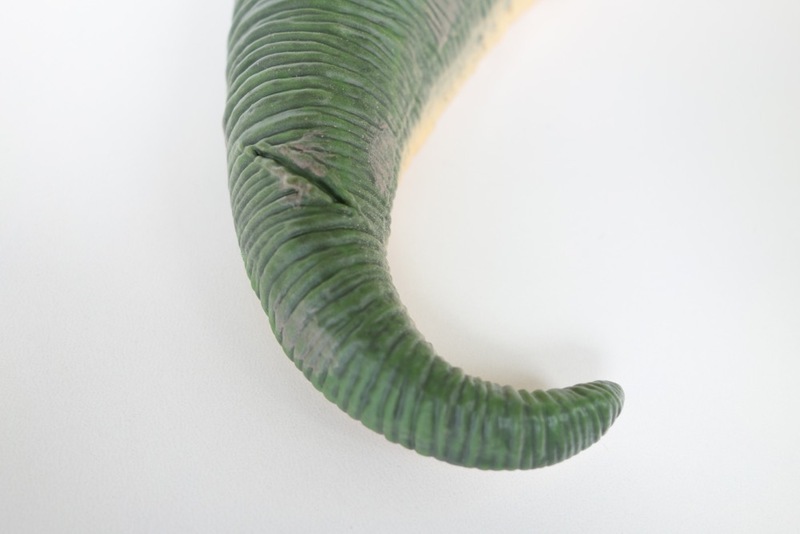 They have also added the scar on his tail, which was missing from the larger figure. In this respect at least, it’s superior. If you look closer at the face, though, the paint is pretty bad. The nostrils are misaligned and the paint seems to be cracking in a number of places. It doesn’t look that bad in person from a normal distance, but still. For the price we’re paying, I don’t think this is acceptable. 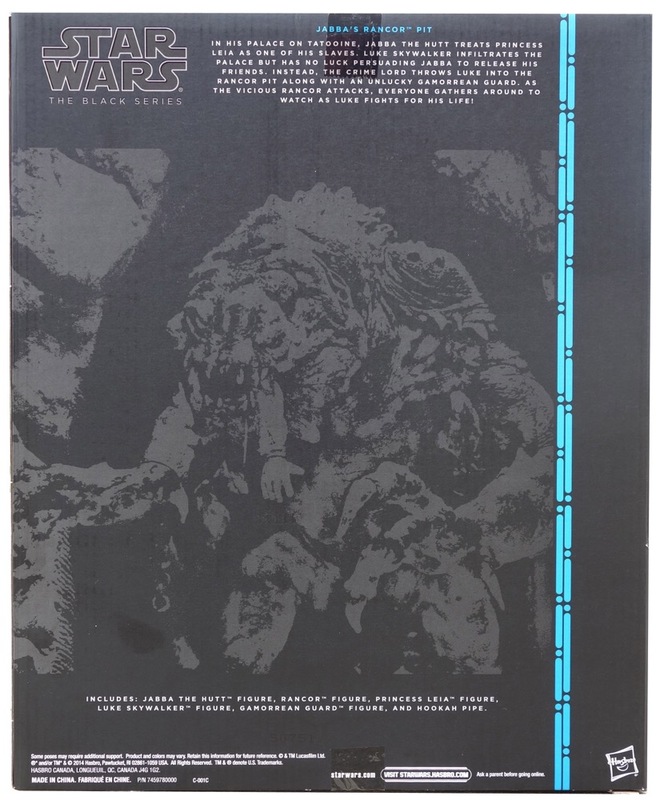 Of course, I have all of the Jabba figures displayed and don’t feel the need to just pick a single “best” one, but I’m sure a lot of people are trying to decide whether it’s worth upgrading from their Vintage Collection Jabba to this. I think the Vintage Collection Jabba’s head is actually too big in relation to his body, which can make the new Jabba’s head seem too small, but in fact I think it’s about right. Also, one of my big complaints about the Vintage Collection figure was that his body seemed too short and squat, and the new version is certainly better in that regard. Finally, even with the crappy paint apps on my figure, I still like the paint job on the new version better. The new version doesn’t have a “posable” tail like the Vintage Collection version, but that feature never worked well and in most cases made the body look weird, so I prefer the new version in this respect. So my conclusion is that the new version is probably superior. If it was available by itself I would say it’s pretty much a no-brainer, although I would hope to get better paint apps than mine. But if you have to pay $130 (or more) to get it, the math gets a bit harder. It really depends on whether or not you have the other figures in the set. The Rancor and Gamorrean in particular are great, so if you need those then I would say go for it. 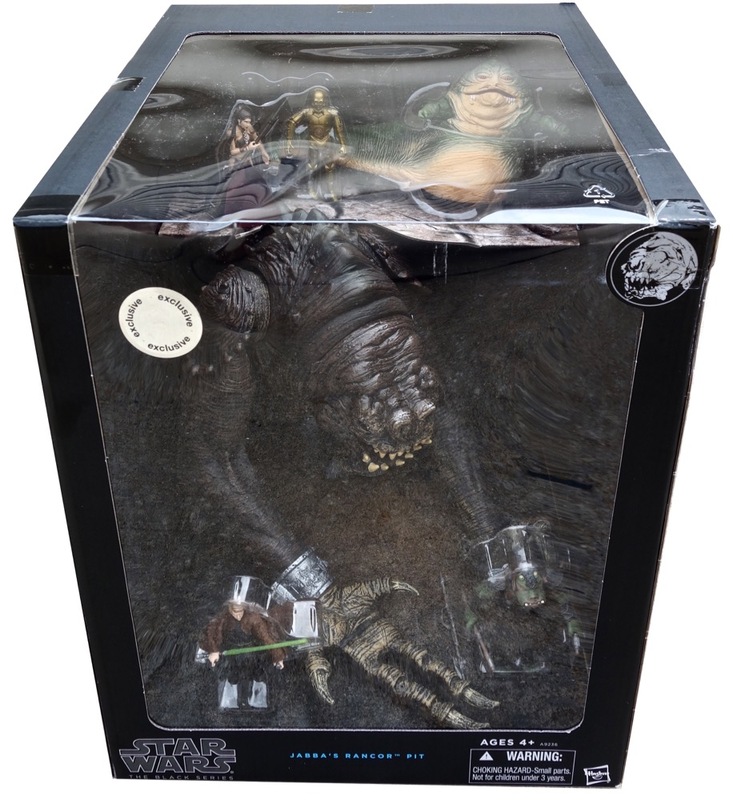 I’m keeping them in the box since I can slip Jabba back in there and still display it as if it were sealed. The rancor seems more or less the same as the previous version. I’m waiting for mine to show up still. Besides the Guard and Leia, all will be new to me. If the paint app is bad, I’ll just repaint him. 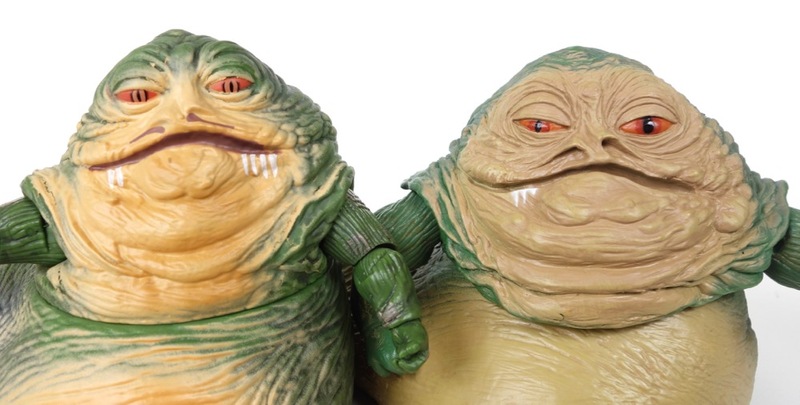 I have every version of Jabba except the ooze one, and I have to say they are all very different looking. While that might be a bummer to some, now I have many different Hutts! The paint is extremely disappointing, but keep in mind that the people who run the exclusive/repackage program have very little to do with the actual Star Wars team at Hasbro. I have a feeling that I’ll be doing some touch-up paint. It’s not VOTC, so I’ll be opening it (when it arrives). I’ll snap some pics for you mightyjabba.